Nanovis is working to add a bactericidal capability to our fixation technologies as well as technology to treat and prevent localized infections, even those caused by some of the most virulent and deadly antibiotic resistant bacteria in the world today. Nanovis is a technology-driven growth company committed to offering implants enhanced by the best fixation and infection technology platforms to surgeons and hospitals seeking the best options to heal their patients. Nanovis offers spinal surgeons a portfolio of spinal implants with what we believe is the most advanced fixation technology that provides surgeons the best aspects of fixation, visualization, and durability. Nanovis is working to add a bactericidal capability to our fixation technologies as well as technology to treat and prevent localized infections, even those caused by some of the most virulent and deadly antibiotic resistant bacteria in the world today. Nanovis today announced that Global Health & Pharma magazine recognized Nanovis as the Best Nanotechnology Driven Implant Company, 2018. Nanovis is a technology-driven growth company committed to offering implants enhanced by the best fixation and infection technology platforms to surgeons and hospitals seeking the best options to heal their patients. Nanovis offers spinal surgeons a portfolio of spinal implants with what we believe is the most advanced fixation technology that provides surgeons the best aspects of fixation, visualization, and durability. Nanovis is working to add a bactericidal capability to our fixation technologies as well as technology to treat and prevent localized infections, even those caused by some of the most virulent and deadly antibiotic resistant bacteria in the world today. Nanovis mission is to be the best at harnessing science and nanotechnology to create and sell clinically and meaningfully superior implants. We’ve built the company around this important mission. Inventing, licensing, and commercializing products with cutting edge technologies for fixation and infection is central to everything we do. We want our implants to truly help patients and make a difference for the patient, the surgeon, and in the world. Right now, we are seeing that difference in the form of surgeons using our products who report that our products are working very well for their patients. In the future we want to help surgeons prevent and treat localized infections, possibly including those caused by some of the world’s most terrifying antibiotic resistant bacteria. This mission has shaped the company into the driven innovator that it is today, and moving forward it will remain central to the company’s approach. How is Nanovis differentiated in the spine market? Nanovis has what may be the best implant fixation and localized infection technology portfolio in the world. 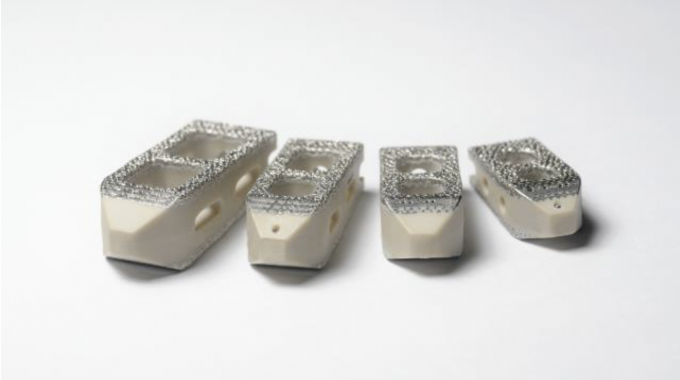 We believe our fixation technologies give surgeons and patients the best interbodies for surgical fusion because of our deep, interconnected porous scaffold intermolded with a PEEK core for excellent visualization. Our cutting-edge nanotube surface adds a whole new, unique layer of fixation technology while our implants are highly durable so the patient and surgeon can focus on healing. Our scientists and engineers are also working hard to commercialize implant surfaces that can kill bacteria attaching to the implant while also promoting bone growth as well as a highly novel technology that may be able to kill antibiotic resistant bacteria. The emerging risk that there are widespread bacteria strains that cannot be killed with antibiotics, presents a potentially horrible risk for us all. A scenario where a scraped knee, a splinter, an extracted tooth, much less a routine surgery like a caesarian section, spine or knee surgery, or a hernia repair could frequently lead to a life-threatening infection that can’t be treated with antibiotics is something our scientists are working hard to help address. Nanovis’ strategy of discovering and commercializing important new technologies like these is very different than the strategy of our competitors. Surgeons and patients that use Nanovis’ implants not only use some of the most technologically advanced implants available, but they support this very serious mission to use technology to help tackle some of most serious and frankly, scariest problems in the field. 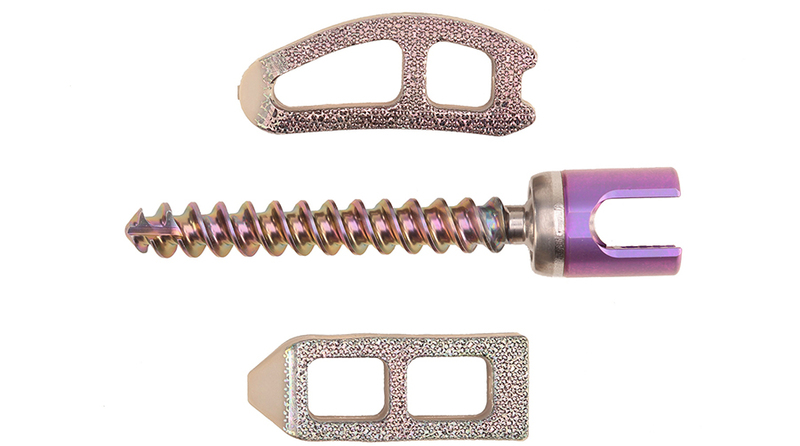 Since its inception, Nanovis has been offering spinal surgeons a portfolio of spinal implants with what we believe is the most advanced fixation technology that provides surgeons the best aspects of fixation, visualization, and durability. We believe that these fixation technologies will help surgeons better heal patients, and distributors better build revenues and relationships. Nanovis platform of proven fixation technologies will be followed by their platform of bactericidal technologies currently in development. 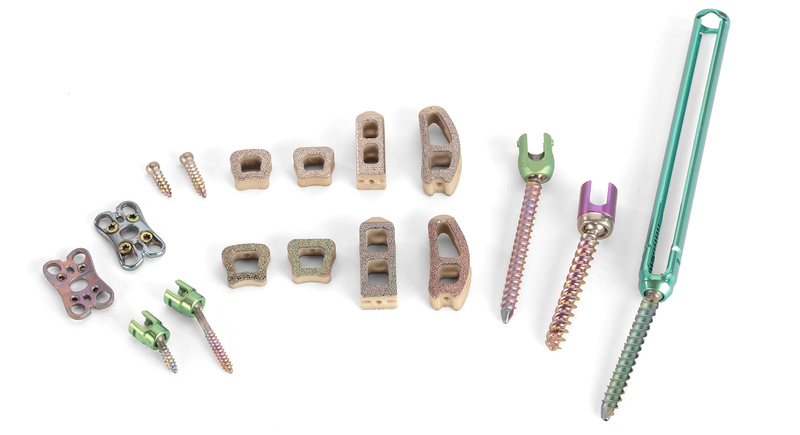 Together, these technologies allow for 10 + years of innovation and differentiation in a highly commoditized spine implant market.